Oral allergy syndrome (OAS) is a disorder in which the ingestion of a particular food causes an allergic response in the mouth. The most common symptoms of the disorder are a burning, itching, or tingling sensation in the lips, tongue, lining of the mouth, and throat. Oral allergy syndrome is generally less serious than a so-called "true" food allergy, which can cause a major and widespread allergic response. This isn't always the case, however. Most people who experience OAS also suffer from hay fever. In fact, an allergy to pollen is believed to be responsible for most cases of oral allergy syndrome. Hay fever is caused by proteins in inhaled pollen grains that trigger an attack by the body's immune system. Some foods contain similar proteins to those in pollen grains and also trigger an immune system attack. 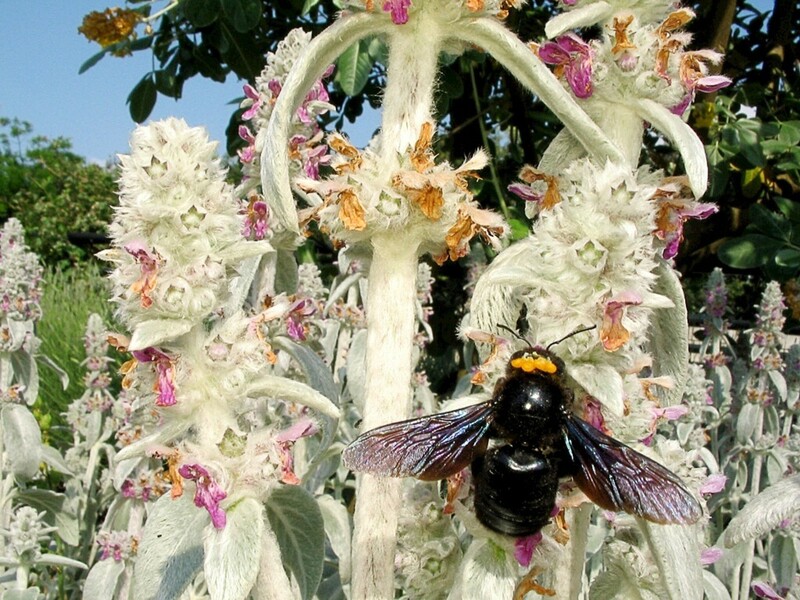 The system is unable to tell the difference between the proteins in the pollen grains and the proteins in the food, a phenomenon known as cross-reactivity. OAS can occur all year found, but for some people it's worse in the pollen season. Strategies to reduce or prevent both hay fever and OAS may be useful. I have both of the disorders and find some of the techniques described below very helpful for relieving them. Oral allergy syndrome is sometimes known as pollen-food syndrome or pollen-food allergy syndrome. It's an annoying but generally mild condition. In cases where symptoms that might indicate its presence are more severe, it's important to consult a doctor. In many people, symptoms of oral allergy syndrome are localized and are restricted to the mouth. The first symptom listed below is most common and may be the only one that appears. OAS symptoms usually develop immediately after eating a food, but they may not develop until up to thirty minutes later or very occasionally up to an hour after eating the allergenic food. 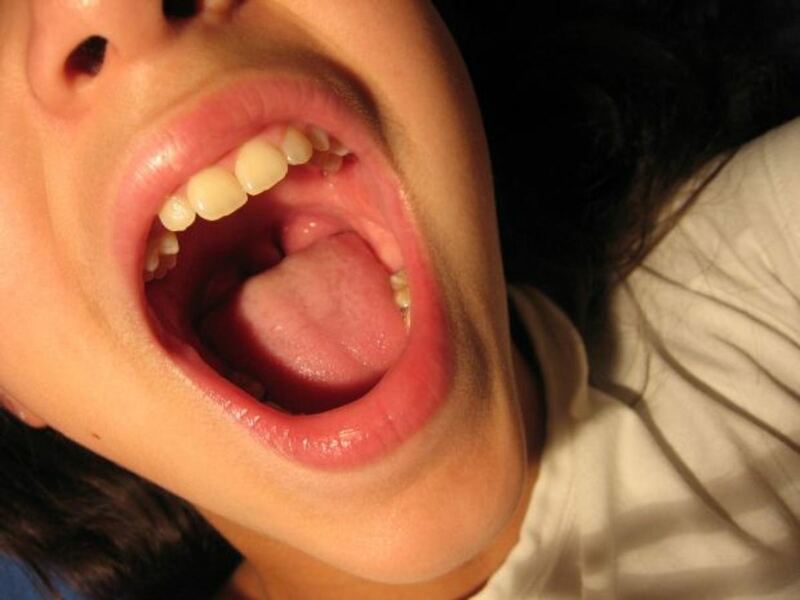 Ocassionally symptoms may appear beyond the mouth and face. This situation requires a medical consultation. Oral allergy syndrome is uncomfortable but is generally not dangerous. Very occasionally, OAS can be a serious condition. The tissues in the mouth and throat may swell so much that they block the airways, which is a medical emergency. A asthma attack may sometimes be an emergency, too. Very rarely, OAS may lead to anaphylaxis, which is always a medical emergency. Anaphylaxis is a very serious, rapidly developing, and systemic (whole body) allergic response. Fortunately, the more serious symptoms of oral allergy syndrome are rare. It's estimated that only 1.7% of people with oral allergy syndrome experience anaphylaxis due to the disorder. Pollen is produced by the male part of a flower, which is called the stamen. 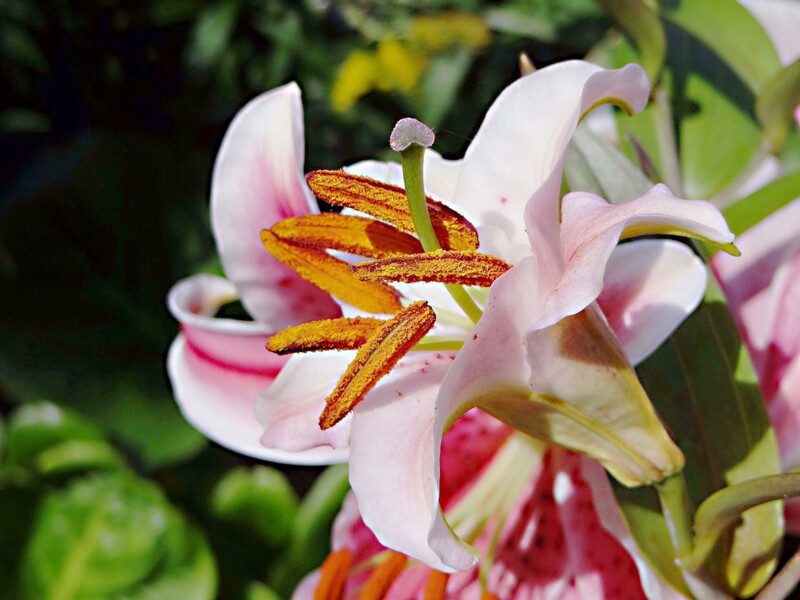 The stamen consists of a stalk called a filament bearing a sac called an anther. The anther contains the pollen grains. Is the Problem Really Oral Allergy Syndrome? Someone who suspects that they have oral allergy syndrome should mention this fact to their doctor. The doctor should be visited as soon as possible if symptoms are severe. Some food allergies can produce similar symptoms to OAS. For example, a soybean allergy can result in tingling and swelling in the mouth, nausea, and a runny nose when the bean is eaten. It's important to discover whether an allergic response is a case of oral allergy syndrome, which usually affects a limited area in the body and causes relatively minor problems, or is actually a food allergy, which may have far-reaching and dangerous effects. Doctors can order allergy tests to determine which type of pollen or food someone is allergic to. They can also suggest and prescribe treatments for hay fever, oral allergy syndrome, and food allergies. Oral allergy syndrome is an unusual type of food allergy because the body is really responding to pollen proteins rather than food molecules. People generally develop OAS after being exposed to pollen grains and suffering from hay fever for years, as I did. Not all people with hay fever develop oral allergy syndrome, but many do. Some people with OAS don't experience hay fever. The condition develops in older children, teenagers, and adults, but usually not in young children. It's a frustrating disorder because the sufferer finds that a food that they used to eat with no problem now causes unpleasant symptoms. It's especially annoying when this food is a favourite one or when several foods cause problems. The table below shows the most common foods that can trigger OAS in people when they are allergic to a particular type of pollen. Other foods not mentioned in the table may have the same effect. If a person responds to one food in a category, they don't necessarily respond to other foods in that category. Unless it's obvious that a particular food produces oral allergy syndrome or another allergic response, a nutritious food shouldn't be dropped from the diet. There are a lot of very nutritious foods listed in the table of suspect foods below, especially in the case of a birch pollen allergy. It would be a great shame to eliminate any of them unnecessarily. This table contains the foods most commonly listed as potential causes of oral allergy syndrome by health institutions and agencies. 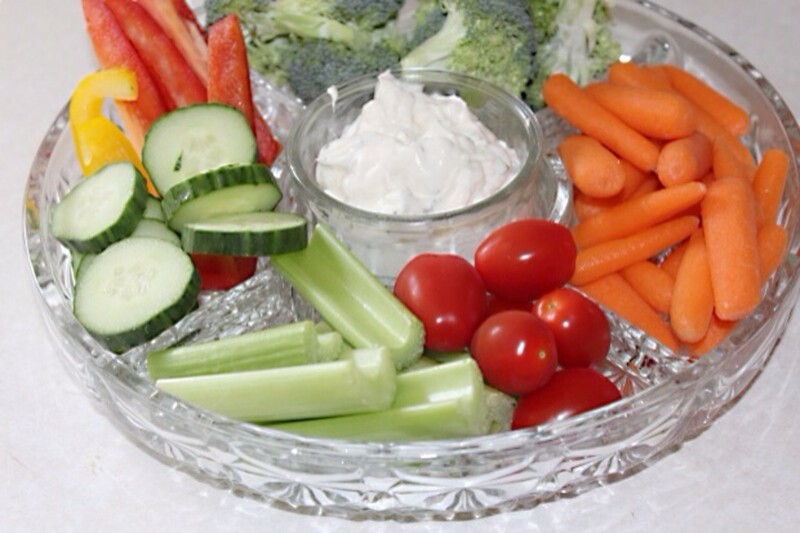 The only way to be certain of avoiding oral allergy syndrome is to completely avoid any allergens in the diet. This is not as easy as it sounds, however. Sometimes allergenic foods are mixed with non-allergenic ones in items like salads, soups, stews, spice mixtures. and supplements. It may not be advisable to buy these items in stores or restaurants unless the ingredients are known. Avoidance of some problematic foods may not be necessary. 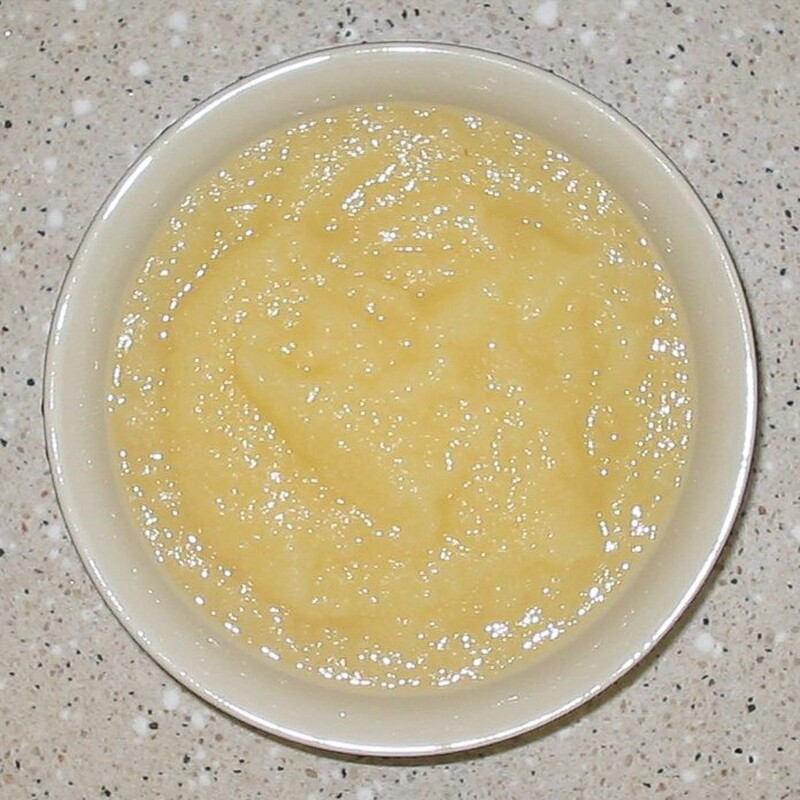 There are certain food preparation techniques which may enable a person to eat a food that otherwise produces OAS. 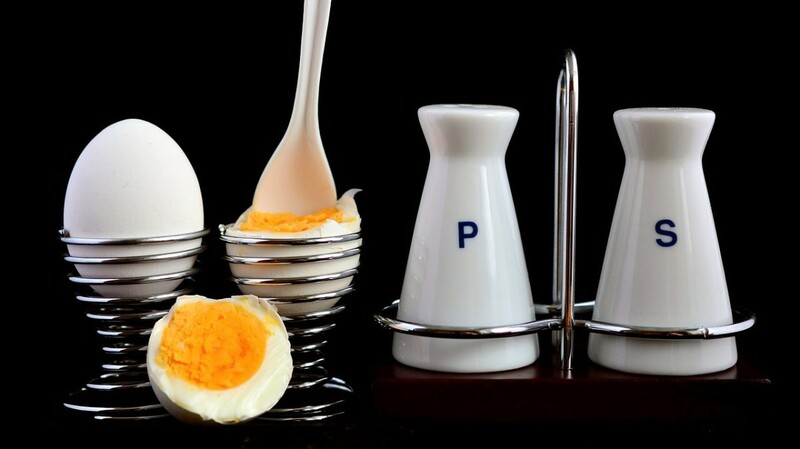 One advantage of oral allergy syndrome proteins compared to the allergenic proteins in a true food allergy is that the OAS ones tend to change their shape or break down when heated. This may prevent the immune system from recognizing them. 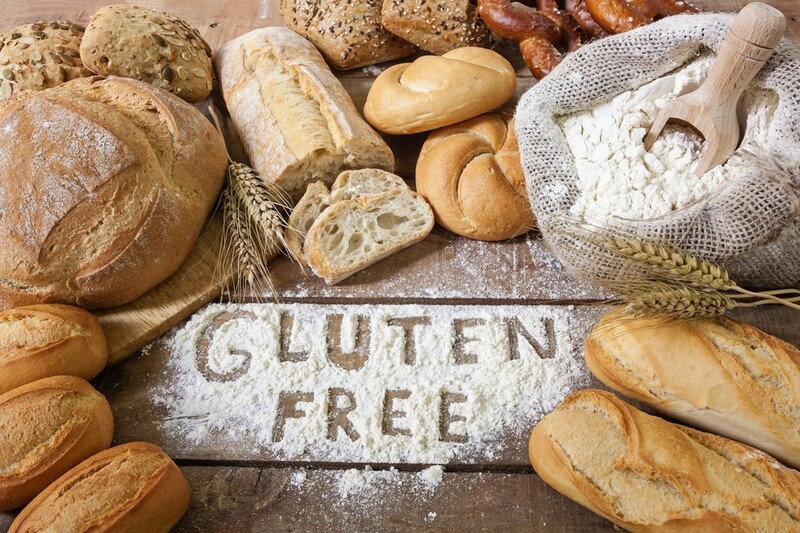 Many people with oral allergy syndrome can eat allergenic foods if they prepare them in a certain way. Please note that if you have experienced a serious case of oral allergy syndrome or if you have a true food allergy, none of the food preparation techniques described below must be tried. The food that you are allergic to must be completely avoided. For people who experience mild to moderate oral allergy syndrome, though, the following strategies may enable some problematic foods to be eaten. Cooking breaks down some of the allergenic proteins in food, so an allergy sufferer may tolerate the cooked food but not the raw food. This is the case for my reaction to hazelnuts. When I eat the raw nuts I experience oral allergy syndrome symptoms. Generally, when I eat hazelnut butter made from roasted hazelnuts I don't experience any symptoms. I say "generally" because I have occasionally eaten hazelnut butter that has made my throat sore. Some allergists recommend that if a person has a reaction to raw nuts they should eliminate them from the diet instead of cooking them or preparing them in a different way, since nuts are so allergenic. Cooking food is often very helpful for oral allergy syndrome. 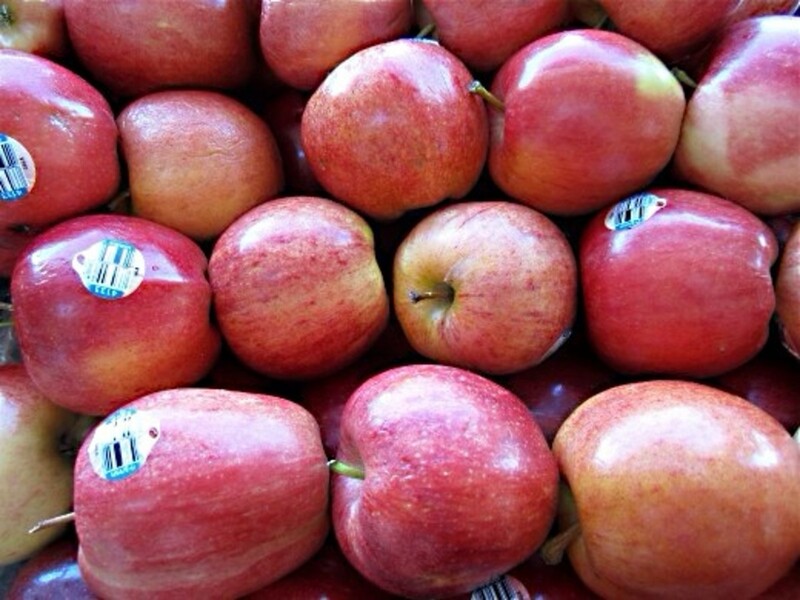 Many OAS sufferers can eat apple pie, apple sauce, and pasteurized apple juice, but not fresh apples, for example. During the canning process food is heated. This may be helpful for OAS sufferers. 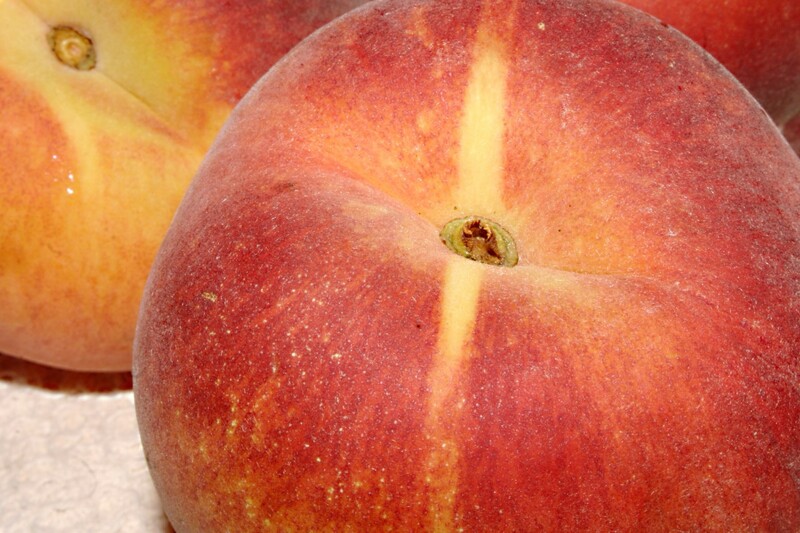 Fresh peaches or pears may trigger OAS symptoms, for example, while canned ones may not. 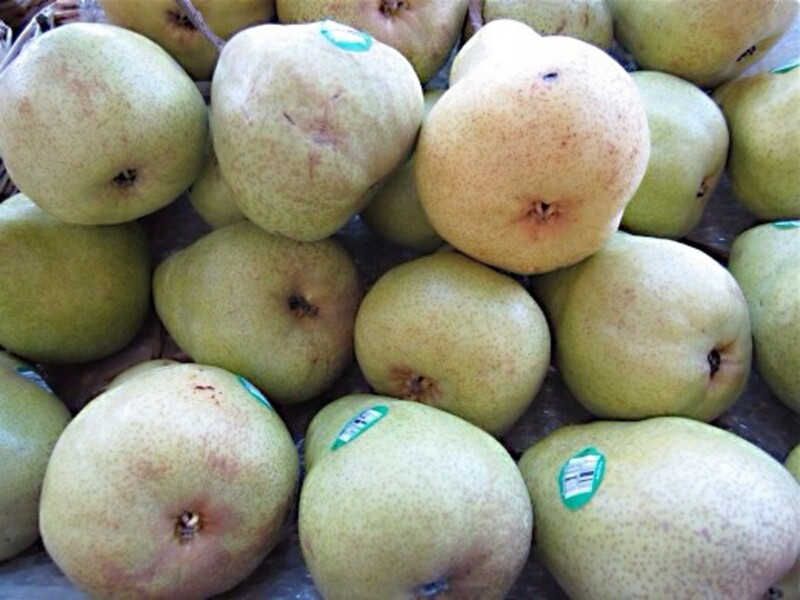 Sometimes the allergenic proteins causing OAS are located in the peel or skin of a fruit, vegetable, or nut. Peeling the food may prevent symptoms. Peeled or cooked apples are fine for me, but if they are raw and are still covered with their skin they trigger OAS symptoms. The American Collegy of Allergy Asthma & Immunology says that a doctor should be visited if cooked fruits, cooked vegetables, or nuts trigger OAS or if symptoms include vomiting, difficulty in breathing, or hives. If none of the above techniques work for you or if your allergic response is becoming worse, visit your doctor. The doctor may prescribe an antihistamine. 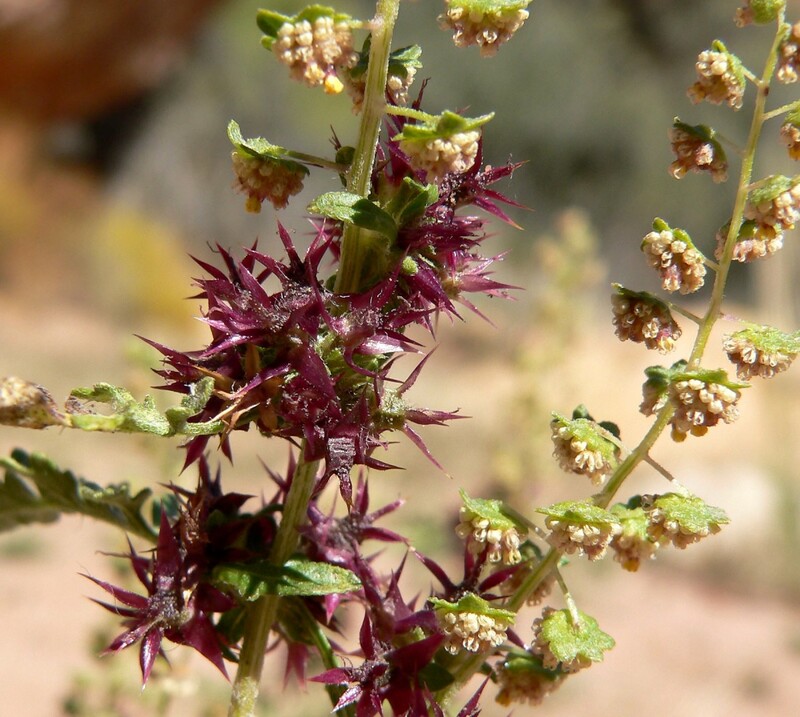 Histamine is a chemical produced by the immune system to help it fight invaders. Unfortunately, it also produces the unpleasant symptoms of allergies. Antihistamines prevent histamine from binding to cells and doing its job. If a person has a serious case of OAS which causes potentially dangerous swelling in the air passages, the doctor may prescribe an epinephrine auto-injector. Epinephrine is a chemical that expands the airways when they constrict. It's rarely needed in oral allergy syndrome, however. Another possible treatment is immunotherapy, or allergy shots. The therapy starts with the patient being given a tiny dose of the allergen. As time passes, the dose gradually increases until a maintenance dose is reached. This treatment can cause the body to develop a tolerance to the allergen. Immunotherapy is generally prescribed only for people with severe hay fever symptoms. It has helped hay fever sufferers. The results of immunotherapy for OAS treatment have been variable, however. Some OAS sufferers have benefitted from the treatment while others have experienced no benefit. Hay fever results from the overactive response of the immune system to pollen grains. 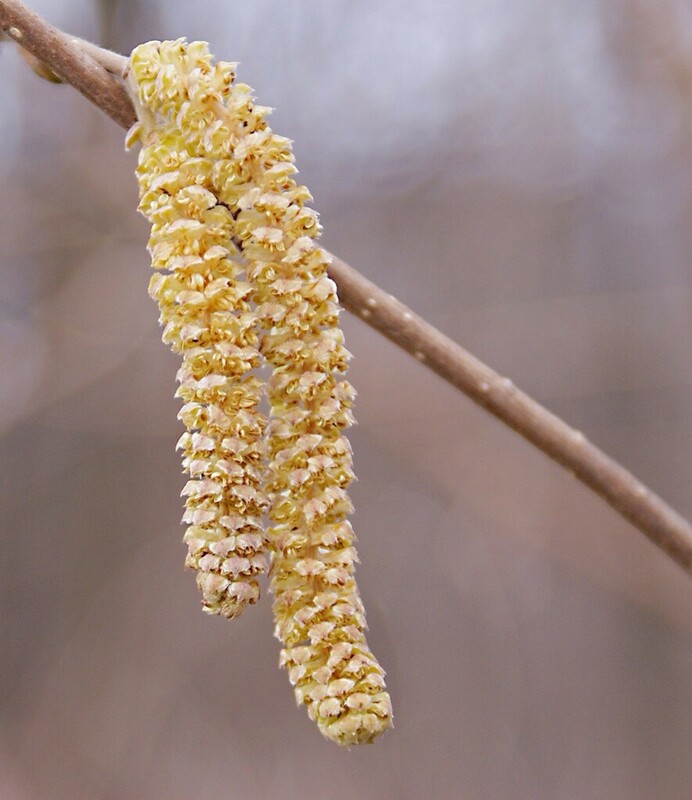 It often develops in spring, since allergenic plants such as birch and alder produce their catkins then. These catkins release pollen. In this case hay fever is often referred to as a spring allergy or as "spring allergies". Some plants, such as ragweed, release their pollen later in the year, so hay fever isn't restricted to spring. Hay fever is also known as seasonal allergic rhinitis. Rhinitis is a condition in which the airways are inflamed due to an allergic response. Hay fever can be very unpleasant, but it isn't a type of fever, despite its name. The most common symptoms are listed below. The sneezes can be so frequent that they interfere with life and stop a person from doing from what they need to do. In people who suffer from both hay fever and oral allergy syndrome, when the immune system goes into overdrive to attack pollen proteins it's also being primed to attack similar proteins in food. Reducing the overactivity of the immune system during the pollen season may help to reduce the strength of oral allergy syndrome. Some people have reported that this strategy is helpful, but not everyone has found it to be beneficial. I can't say with certainty that's it's helped me because I use food preparation techniques to prevent OAS. The effort to reduce hay fever is worthwhile, though, because it reduces the misery of the allergy season. 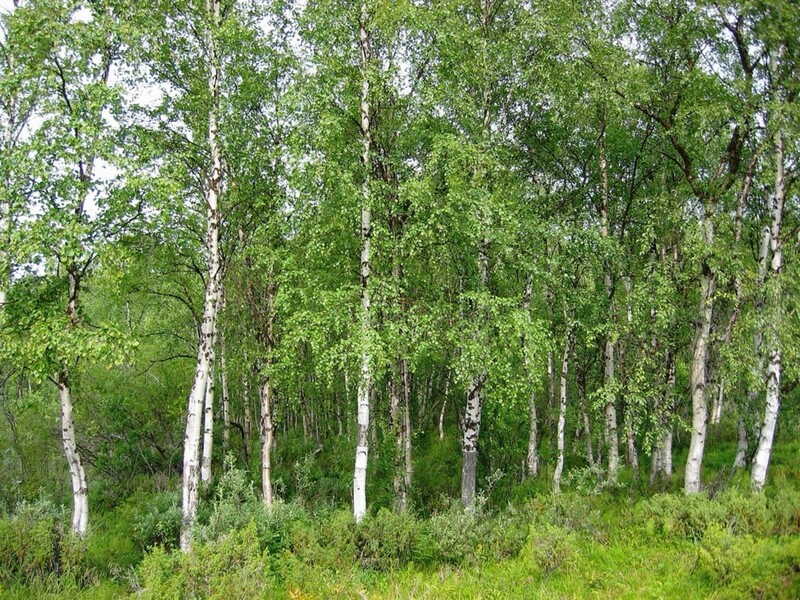 According to the National Health Service in the UK, 75% of people with an allergy to silver birch pollen also experience oral allergy syndrome. The following strategies will decrease a person's exposure to pollen and should help to reduce hay fever symptoms. Stay indoors with the windows and doors shut during times of high pollen counts. An air conditioned building is useful in summer. Check the pollen forecast daily. Websites such as The Weather Network and The Weather Channel let visitors enter the name of a city to see the local pollen forecast. The sites also tell the visitor whether the pollen count is considered to be high, moderate, or low. Set air conditioners to recirculate air so that they don't bring in fresh pollen. Try to limit outdoor exposure during the time of day when the pollen that you are allergic to is released. Pollen counts are high during warm, dry, and windy weather but fall during rainy weather. Exercising during rain or right after rain has stopped is best for a hay fever sufferer who wants to exercise outdoors. Consider wearing a mask to filter out pollen grains and wrap-around sunglasses to protect your eyes if your hay fever is bad. A scarf over the nose and mouth will also help to prevent the inhalation of pollen. Attach a filter that traps pollen grains to the air vents of your car. Avoid mowing the lawn or gardening during the pollen season. Don't bring flowers into the home. Try placing vaseline in the lower part of your nostrils to trap pollen grains. Wash nostrils and eyes with saline solution to remove pollen grains. Wash your skin, hair, and clothing after exposure to pollen grains. In your home, use an air filter that traps pollen grains. Use a vacuum with a filter that traps pollen grains. Wet-dust to avoid sending pollen particles into the air. Some allergy experts suggest avoiding exposure to pets whose coat has collected pollen grains. Some even suggest keeping the pets outside. That's never going to happen in my home. I wouldn't dream of leaving my pets outside or of paying them less attention. If you feel the same way, it might be helpful to ask someone else in the family to brush the pet before he or she comes inside if they have been outside for a long time. Antihistamines can be bought in drug stores and can be very effective for preventing hay fever symptoms. Doctors can prescribe more powerful ones if necessary. It's important that non-drowsy antihistamines are used. Sedating ones can be dangerous for drivers and can interfere with school or work. Even when antihistamines are used, though, pollen avoidance techniques may be a good idea in someone with hay fever and OAS. 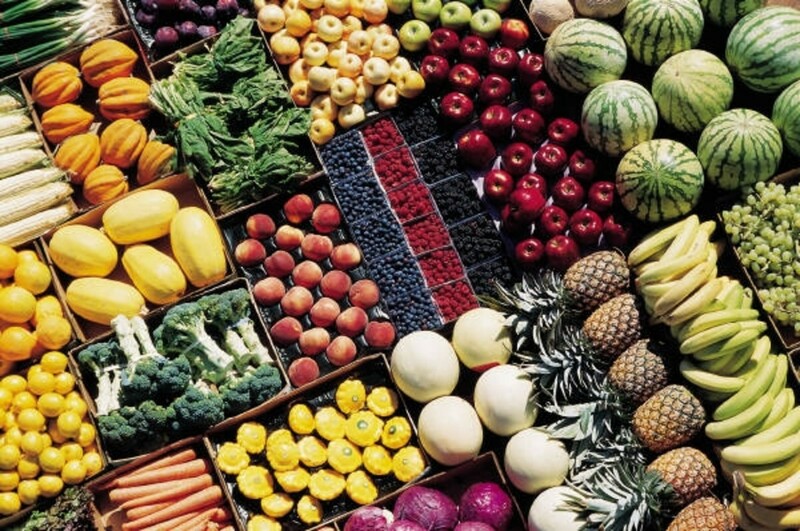 Depending on food choice, it may be possible to eliminate oral allergy syndrome symptoms. Eliminating all hay fever symptoms depends on how sensitive a person is to pollen. There are always some pollen grains in the air. Pollen avoidance techniques and medical treatments can be a big help, though. They can greatly reduce symptoms and in some people eliminate them altogether. "Oral Allergy Syndrome (OAS)" American Academy of Allergy Asthma & Immunology. https://www.aaaai.org/conditions-and-treatments/library/allergy-library/outdoor-allergies-and-food-allergies-can-be-relate (accessed September 15, 2017). "Foods That May Trigger Pollen Allergies." WebMD. http://www.webmd.com/allergies/features/oral-allergy-syndrome-foods#1 (accessed September 15, 2017). "Oral Allergy Syndrome." National Health Service. http://www.ouh.nhs.uk/patient-guide/leaflets/files%5C5537Poralallergy.pdf (accessed September 15, 2017). "Oral Allergy Syndrome." Canadian Food Inspection Agency. http://www.inspection.gc.ca/food/information-for-consumers/fact-sheets-and-infographics/food-allergies/oral-allergy-syndrome/eng/1332351950134/1332352076501 (accessed September 15, 2017). "Hay Fever." The Mayo Clinic. http://www.mayoclinic.org/diseases-conditions/hay-fever/basics/definition/con-20020827 (accessed September 15, 2017). "Hay fever." National Health Service. http://www.nhs.uk/conditions/hay-fever/pages/introduction.aspx (accessed September 16, 2017). Hi, Liam. Thank you very much for the visit and the comment. The Mayo Clinic webpage about food allergies lists a couple of scientific references that may be useful to you. Having never heard of oral allergy syndrome before this makes a very interesting read. Being a sufferer from grass pollen hayfever I'd never really put the notion together that certain foods can have an effect but looking back I have never felt quite right eating oranges during the summer which could be related. You've opened up a need for knowledge in myself on this so I'll now probably spend the next few days with my head buried in scientific journal articles on the subject- are there any you've read and would recommend as I don't see references to medical sources in the article. Thanks for the comment, Peg. Yes, it does seem that allergies are more common today than in the past. It certainly would be interesting to find out why! Very interesting and well researched topic. Allergies seem to be more prevalent these days than they once were, or maybe we hear more about them. I wonder if it is the GMOs and pesticides that are accelerating this. Sorry to hear that you suffer from Oral Allergies. Hi, moonlake. It's interesting that you can eat salads at home but not at other places. It sounds like the additives used in restaurants may be irritating. Thank you very much for the comment and the vote. I have allergies to some medications and to sweat bees. One thing I never do is order a salad in any of the fast foods place or restaurants. My lips always start to burn I can eat salad at home. Very interesting hub vote up. Thanks for the visit, Deb. I appreciate your comment! I don't have this condition, but I knew absolutely nothing about it until now. Thanks for broadening my knowledge base! Thank you very much for the comment, Crafty! I'm sorry for your friend. Oral allergies can be both annoying and frustrating. Terrific Hub! I have a friend that has an oral allergy to shrimp. Hi, Nadine. That's a strange story about how your hay fever suddenly disappeared. I'm glad it's gone, though! The cause of allergies and hay fever is believed to be both environmental and genetic, but it is puzzling at times. Thanks for the interesting comment. Thanks for your informative hub on Hay Fever. I suffered from Hay Fever for about 15 years . Horrible. I remember the day that it started in Australia, after cleaning a mildew laundry and it carried on in South Africa and one day I realized that it was gone. It never came back but both my children still suffer from it. Its still a mystery for me why some people get it while others don't. Thank you for such a wonderful comment, married2medicine! I appreciate it very much. I'm looking forward to reading your hubs, too. I love your HubPages user name! This is such a breath-taking piece... You did an excellent job here and no doubt you deserve the thumbs up and all accolades (except "funny").. I will definitely be visiting your page once in a while to get such enrichment. Well done once again! Hi, Bill. Yes, allergies can develop at any time. They can be very annoying! Thank you very much for the visit and the comment. I hope you have a great weekend as well. Hi Linda. I have had allergies for the last 15 years or so and found it odd that they developed so late. Apparently this can happen? I have never heard of Oral Allergy Syndrome and I do think my allergies are limited for the time being to seasonal issues. Your list of strategies for dealing with Hay Fever is wonderful, there are definitely a few things on there that I had not thought of. Thanks for the education. Have a great weekend. Hi, Writer Fox. Thank you very much for the comment and the vote! Yes, allergies have increased greatly in recent times. Researchers aren't sure why this is, although there are several theories. I'm sure that some people are sensitive to pesticides on food. The researchers have shown that people with oral allergy syndrome are responding to food proteins that resemble pollen proteins, though. I think allergies have increased by leaps and bounds in this generation. I wonder how many of these are caused by pesticides and fertilizers? Perhaps that's the reason why people allergic to fresh fruit are not allergic to canned fruit. Enjoyed your great research and voted up! Thank you very much, Dianna. I'm glad that your allergies are almost nonexistent! I am thankful my allerges are almost nil. I learned much from your post and hope that others find it very helpful for allergy information. Thank you very much for the comment, the vote and the share, Nell. I appreciate them all! If your brother suspects that he has a soy allergy he should see a doctor. Oral allergy syndrome is generally not serious, although it may be occasionally. A traditional food allergy is much more likely to be serious. A doctor needs to be consulted to get the correct diagnosis. Good luck to your brother! Thank you very much for the comment and for telling your daughter about the hub, Eddy. I appreciate your visit! A very interesting and useful hub Alicia. My daughter suffers from this and I shall be passing this one onto her. Really an informative article on the subject! Thank you! Thanks for the visit and the comment, Maren Morgan! Never knew that there was an oral allergy syndrome. Thanks! Thank you, DDE. I appreciate the comment. It is a bad time of year for allergies. Hay fever is a problem and especially at this time of year your hub is most helpful and informative on dealing with such allergies. Your photos are beautiful. Hi, Faith. I'm sorry your allergies are so bad. They can make life difficult. Like you, I love hazelnut/chocolate spread! I would hate to give that up. Thank you very much for the comment, the votes and the share. Best wishes to you, Faith. Oh, I have terrible allergies, and I do love that new hazelnut/chocolate spread they have come out with, so good, but seems my allergies seem a bit worse than usual. However, I do not have the burning and other symptoms you have written of here. Most likely due to our flip flop weather here of being so cold and then sunny and very warm and everything starting to bloom now. Excellent hub and important one indeed! Up and more and sharing. Thank you for the comment, Victoria! I appreciate it. Hi, Cynthia. The sensation of the throat tightening up can be scary! I've read that many people are unaware that there's a link between problems in their mouth and throat when they eat certain foods and their hay fever or pollen allergy. It's an interesting connection biologically, even though it's not nice to experience any of these problems! Thanks for the visit. Wow Alicia you've just told me I suffer from something I didn't know I had! I've always had a pollen allergy, though as a child I would get a rash rather than hay fever symptoms. 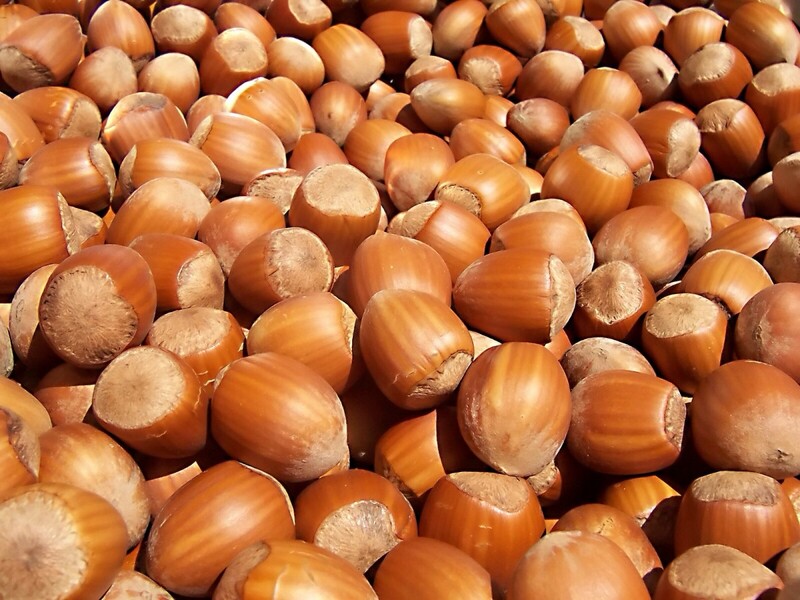 In my thirties I started getting a reaction to hazelnuts where my mouth would tingle and throat started tightening up. I never linked the two together however and also from your chart it would seem the hay fever is caused by alder or birch pollen. Luckily hazelnuts are relatively easy to avoid! Thank you very much, Bill! Yes, some people do seem to have the tendency to develop allergies while others don't. Like Bev, I'm one of the people that does have allergies. I have no allergies to speak of, unless you count alcohol. LOL Bev, on the other hand, does have allergies, so passing this along to her. Thank you as always for the great information.